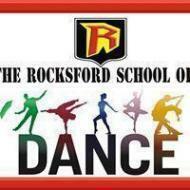 Rocks Ford Dance Academy, we share that some passion with each of you and invite you to join us. With over 4 years of dance industry, RocksFord is continuously striving to bring you the very best in dance instruction, choreography, tactical training products and must importantly an incredible camp experience. We offer different styles of dance. We accept dancer of any level either skilled or unskilled. Rocks Ford Dance Academy conducts classes in Dance. It is located in Gomti Nagar, Lucknow. It takes Regular Classes- at the Institute.